2 Bedroom Flat For Sale in Grays for Guide Price £190,000. Wow! Modernised to a high visual standard and a property ready to move straight in to. 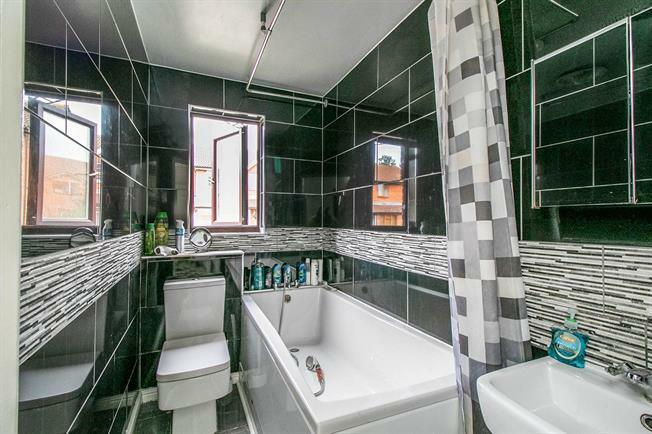 The current owner has completely renovated the kitchen and bathroom areas providing a fresh modern appearance with a high quality finish which will be appealing to potential interest. The remainder of the flat has also been well maintained meaning a new owner can move straight in. Accommodation leading from the entrance hall is provided by a spacious lounge area, modern fitted kitchen, new family bathroom and two bedrooms and also benefits from double glazing and electric heating. External space is provided via the communal grounds and parking areas. Internal viewings are highly recommended to appreciate its internal quality. Please note that the current lease was initially 99 years from 1 January 1989.